The fight against the use of products containing genetically modified organisms (GMOs) in Azerbaijan must be intensified and carried out in accordance with the current legislation, Eyyub Huseynov, Chairman of the Independent Consumers Union (ICU) of Azerbaijan told Trend. According to Huseynov, despite the adoption of legal regulatory documents prohibiting the use of GMOs in the country, such products are, unfortunately, still present on the market. "[This happens] largely due to the numerous experts lobbying for GMO products. These products mainly come from Turkey, Iran and other countries. I believe that the Food Safety Agency should take all the necessary steps in order to resolve this issue. GMO products are considered environmentally unfriendly in the “Law on Organic Agriculture” passed by Azerbaijan. They should therefore not be present in the local market," Huseynov said. “It is only necessary to ensure that the entire cycle of growing products is carefully monitored. If the system is to work accordingly, this will then provide citizens with safe food products. That, in its turn, will simplify the output of local products to foreign markets. For now, however, it is too early to talk about any serious progress in this direction. Not even 10 percent of what was planned in this direction has been realized," Huseynov said. According to the chairman of the Union, many farmers and entrepreneurs engaged in agriculture continue to poison the soil. "We regularly carry out inspections of agricultural products (watermelons, melons, tomatoes, etc. ), only to find out that the nitrite content in these products exceeds the established norms by several times. This is a perfect example of the presence of dangerous products on the market. In this regard, expanding the scope of the agency's activities through close interaction with society through the media is imperative. We, in turn, are ready to provide all possible assistance to the Food Safety Agency and share our 20-year experience in this area," said Huseynov. According to the Criminal Code of Azerbaijan, illegal traffic (import or sale) of genetically modified plants or of food produced using genetic materials of genetically modified plants is punishable by a fine of two to four times the amount of damage (from the income) caused by the crime, or imprisonment for up to two years. 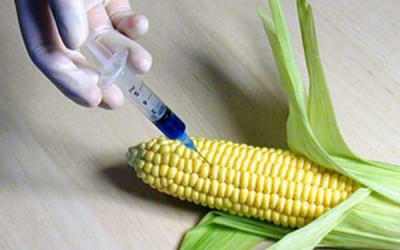 The production of products using GMOs is punishable by a fine from ten thousand to fifteen thousand manats, or imprisonment for up to three years. Exceptions are the import or production of products using GMOs as part of research, testing and demonstration at exhibitions.